Over the last couple of weeks I have had the pleasure to speak with Dasha from Alter-View. Terra Quantum (https://terra-quantum.net) is a very interesting website. It displays and categorizes landscape images based on geographic location. Choose a country and then explore by location. I’m so happy to learn there’s a new magazine out about Vision! It’s great that more and more people are focusing on Vision and less and less about equipment. I know about this publication because they asked to publish my blog post on “How I Found My Vision.” They did a wonderful job with the article and even gave me a full page ad! Honestly, it was one of the toughest interviews that I’ve ever done, not because John was tough, but because the questions were difficult for me to answer. At one point I frustratedly told John that I just didn’t think that I could do it, but with his help and encouragement, I completed the interview. The questions were tough because they dealt with the feelings and motivations behind my work. It’s not that I don’t have these feelings, but I find it difficult to put them into words. Perhaps that’s part of the reason why I became a photographer, so that I could avoid words and use images instead. Thank you John, for this opportunity and for encouraging me. 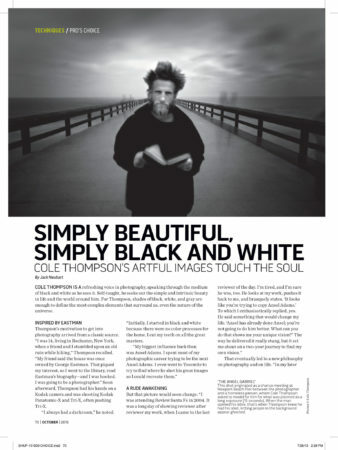 We love photography interviews and today we are excited to bring you an interview with fine art photographer Cole Thompson. Cole is a brilliant photographer and we are honored to have him here today sharing some of his wisdom with us! This fascinates me! I have been doing a modified version of this for a while. Do you still practice this? Yes, I have practiced Photographic Celibacy for about 5 years now. What “Photographic Celibacy” means is that I do not look at other photographer’s work. I don’t browse photo books, I don’t look at the images in photo magazines and I don’t seek out other’s work on the internet. 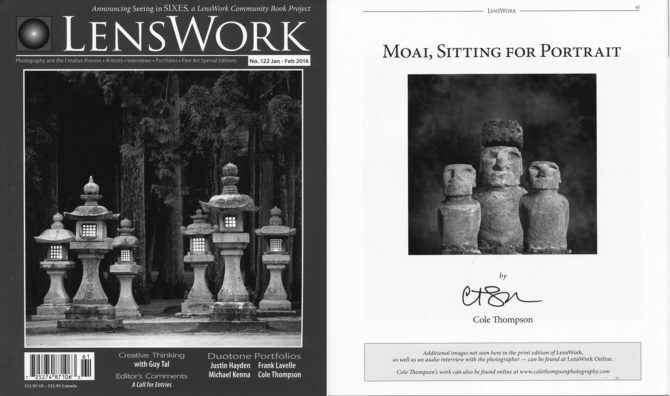 Why don’t I look at the work of others? Several years ago I attended a portfolio review and during the final interview I showed my work to a gallery owner. He briefly looked at it, brusquely pushed it back to me and said “It looks like you’re trying to imitate Ansel Adams. I replied that I was, because I loved his work! He then said something that would (eventually) change my life. Ansel’s already done Ansel, what can you show me that demonstrates your vision? After about two years of wrestling with this I finally had my epiphany: I was never going to do Ansel better than Ansel did Ansel, and so was my goal to be the world’s best Ansel Adams imitator? Armed with this epiphany, I had this great desire to develop my own Vision, but what exactly was Vision? After a lot of reading and thinking I came to the conclusion that Vision is simply the unique way that I see the world because of my life experiences. I see things differently than others because I’ve had different experiences. I also concluded that Vision is not developed, but discovered. My vision was already there, created by my life experiences, and what I needed to do was to find and follow it. I was so busy seeing the world through the eyes of other’s images that I was not seeing through my Vision. I noticed that when I studied the work of others I would then try to recreate their look and sometimes even try to copy some of their specific images! I concluded that to be able to follow my Vision, I needed to stop immersing myself in their Vision. I knew I couldn’t erase a lifetime of images that were stored in my head, but my theory was that if I stopped focusing on their work, I could more easily find my Vision. And as time went on I found that the influence of those stored images diminished and my Vision came out more and more. Has it worked? Yes, since pursuing Photographic Celibacy my work is better, more diverse and most importantly, it really is mine. One of the great advantages I’m now enjoying is that when I go to a location to work, such as Iceland this September, I don’t have any idea of what others have done before me and I’ll not be tempted to copy their work. I can only speak from my own experience, but focusing on the work of others only inspired me to get out and copy. Additionally, I found that looking at their work caused me to compare myself to others, which is not a positive thing. I would become envious of someone else’s work and skills, which caused me to overlook my own talents and which stunted my growth. I also found myself jumping from subject to subject and technique to technique as fads came and went. I was like the wheat in the field, blown about with every wind, always following but never leading. So, will I practice Photographic Celibacy forever? I doubt it, but for right now, it works for me and I enjoy going down my own path rather than following others on theirs. How do you cultivate your vision? I don’t study the work of others. I don’t follow the rules of photography. Following rules is the exact opposite of following one’s vision. Over the years I have had people look at my images and tell me that my image didn’t follow the rule of thirds or that I shouldn’t have centered my subject. I just smile and think how grateful I am that I don’t know or follow the rules! I set aside “alone time” to create. I’ve tried to work while on family vacations or while out with other photographers, but I just cannot focus on my vision with others around. I read the Edward Weston Day Books. I love Weston’s images, but I love his attitudes as an artist even more and they put me in the right mood to create. I listen to the Beatles. Upon achieving success, artists are then afraid to stray outside of their successful formula. But over time they become stagnant and lose their creative edge because they weren’t growing. What has always impressed me about the Beatles is how they didn’t do that, their music was always changing and pushing new frontiers. Their music reminds me to grow and change with my art. I cultivate attitudes that allow me to create unencumbered. An important attitude I cultivate is to not care what others think about my work; I create for myself and I never consider how others will react to it, if they will like it or if it will sell. My only goal is to create art that I love. Simplify. I have found that it’s easy for me to fall in love with equipment and processes and not pay enough attention to my Vision. To keep that in check, I have embarked on a program of simplification; I have simplified my equipment and processes to the bare essentials so to minimize distractions. The term “Fine Art” is a bit of conundrum to me. How do you define this term? This topic has been on my mind for several years and I’m currently writing a blog entry about it. How would I define fine art? My short answer is: I wouldn’t. I mean, who cares? There will never be a definition that everyone agrees upon and it really doesn’t matter to me what someone else says anyway. If I love an image and then find out that it’s not considered fine art, do I love it any less? The only thing that I concern myself with is: Do I like the image and would I hang it on my wall? I have a friend who looked at one of my images and said: this is not fine art because people don’t smile in fine art. This image may or may not be fine art, but I don’t think it’s because the girl smiled! I think each of us defines what fine art is and it doesn’t really matter what anyone else thinks. 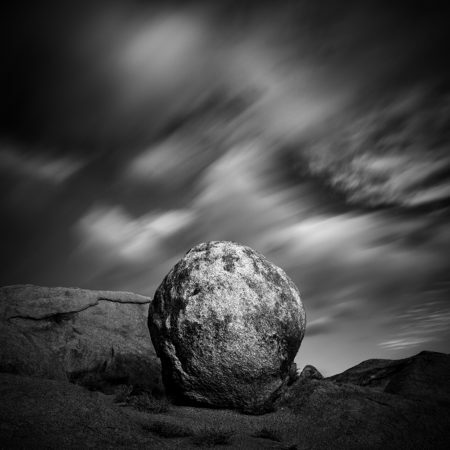 What is your photographic belief system? What rules (or lack of them) guide your process from idea to execution? I must create from my own vision. To create my best work, I must create for myself. I never ask others about my work. I create because I love to; not to win contests, sell art or to win praise. I will keep things simple: my equipment, my processes and my images. When did your shift from photographer to artist happen? Did you see or feel a change in your images after this realization? My “conversion” to artist took place after I returned to photography in 2004, after a 35 year absence during which I raised a family and built a business. Upon returning I was fortunate to meet a woman who became my mentor and luckily for me she was an artist who used photography (as opposed to a “photographer”). She saw my rigid photographic rules as an impediment to my creative growth and over time she helped me to understand that it was okay to be a photographer and to document, but it was also okay to be an artist and to create. Has my work changed since I achieved this mental shift? Yes, very much so. This is the Angel Gabriel. I met him on the Newport Beach pier as he was eating French Fries out of a trash can. He was homeless and hungry. I asked him if he would help me with a photograph and in return, I would buy him lunch. The pier was very crowded and I wanted to take a 30 second exposure so that everyone would disappear except Gabriel. We tried a few shots and then Gabriel wanted to hold his bible. The image worked and the only people you can see besides Gabriel are those “ghosts” who lingered long enough for the camera. Gabriel and I then went into a restaurant to share a meal; he ordered steak with mushrooms and onions. When it came, he ate it with his hands. I discovered he was Romanian and so am I, so we talked about Romania. He was simple, kind and a pleasure to talk with. I asked Gabriel how I might contact him, in case I sold some of the photographs and wanted to share the money with him. He said I should give the money to someone who could really use it; that he had everything that he needed. Then the Angel Gabriel walked away, content and carrying his only two possessions: a Bible and a bed roll. When I asked Gabriel to stand there on that pier, I had an immediate “Vision” of how I wanted that image to look; I could “see” it in my mind’s eye. As a photographer I’m not sure I would have then taken the next step to manipulate the image to match that Vision, but as an artist I was willing to do that. How has my work changed since I made this mental shift to artist? 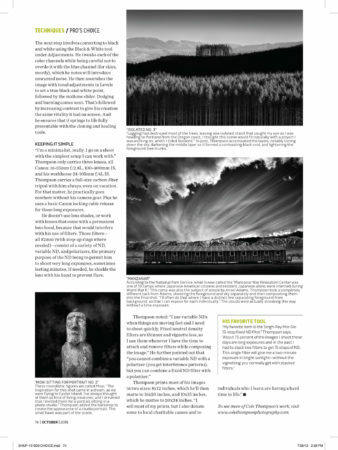 Most of my past work as a photographer was very traditional landscapes, and now my work has expanded into other areas. It is more conceptual and I’d say “simpler.” I still love landscapes, it’s in my blood, but even those landscapes have changed and become more conceptual. This is an image I never would have been able to create as a photographer because I hadn’t yet found my Vision and I was too bound by rules which limited my thinking. Sometimes I find that my new images hearken back to my landscape roots, but are heavily influenced by my new thinking. This is a landscape, but it has been manipulated to match my vision. This is a series that I may not have pursued as a photographer. I was standing in a hotel lobby waiting to check out when I looked up and noticed how cool a ceiling lamp looked from directly below. I moved the furniture out of the way, lay on my back and just looked at it with fascination. That was the beginning of the Ceiling Lamp series. 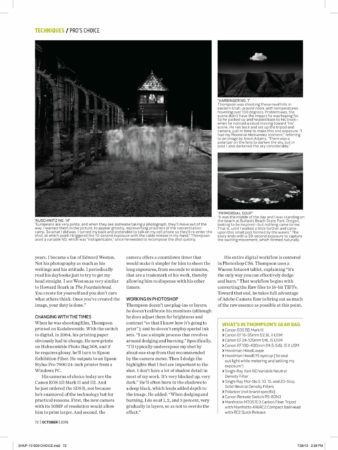 “The Ghosts of Auschwitz-Birkenau” series is about as different from my traditional work as I could get. 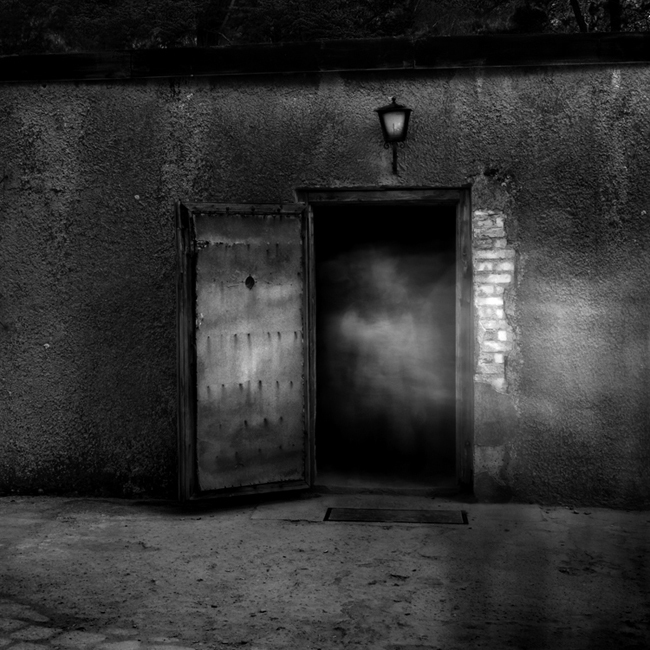 It is a series of ghost images created at Auschwitz-Birkenau. Has my work changed since I made the mental shift to artist? Yes, and in my opinion for the better. Most importantly I’m happier with my work because I’m forging new ground and the work is truly mine. I am now proud of my images because of how I feel about them, not because of the awards, exhibitions or accolades they have received. What are your views on photographic manipulation? When I thought like a photographer the idea of manipulating an image was abhorrent to me, but now when someone asks “do you manipulate your images?” I reply “Yes!” As an artist it is my job to manipulate my images, to bring them into compliance with my vision. I am not documenting a scene, but showing others how I see the world. As a photographer I used to think that my photographs told “the” truth and now I understand that they really only tell “a” truth. Really, everything I did as photographer manipulated the image; how I framed the shot, the focal length I chose, my exposure, how I cropped the image and how I processed it. Everything I did changed the story that my images told. Once I came to appreciate this I realized that manipulating my images was not a photographic sin! I was suddenly free to “create” rather than “capture.” This opened up the creative process to me and it was very liberating. When I look back now, I am mystified at how I could have felt such guilt in manipulating an image! Are there ways that I personally wouldn’t manipulate an image? Sure, but not because there’s anything wrong with those manipulations, but rather because they don’t fit into my Vision or style. I was offended, because I had not inserted that cloud! I had to ask myself why I was so offended at that accusation, regardless if it were true or not. Was it because I still clung to some of my old “photographer ethics” which said such a thing was wrong and I didn’t want anyone to think I had crossed that line? Each person must decide for themselves what they are comfortable doing and I have long ago stopped judging what others do and just focus on my art. What advice would you give a photographer that would like to move into the fine art realm? Believe in yourself and have faith in your creative abilities. I was raised in a home with no exposure to art or music and I came away convinced that I was born without a creative gene. That’s part of the reason I pursued photography, I thought that by becoming a great technician I could compensate for my lack of creative abilities. Fortunately I learned that I do have those abilities; that they were simply undiscovered and atrophied from lack of use. I also came away from my experience with a strong conviction that every single person has these creative abilities. Guaranteed! Find your vision. How do you see the world differently because of your life experiences? It’s a long and hard road to find your vision, mine took two years, but it is essential to create work that you love and are proud of. Throw away your photographer mentality and let yourself go! Break out of your photographer role; do anything and everything and break all the rules. Think of yourself as an artist. To help me make this mental shift I stopped saying things like “take a photo” and instead said “create an image.” I called myself an artist and referred to my work as art. At first that was hard for me to do because I felt a fraud, but over time I started believing it and actually became it. These were small things, but they helped remind me of what I wanted to become. Create out of love and not for money or recognition. I cannot create my best work if my motives are fame or fortune. For this reason I have come to conclude that money and art do not mix. Be independent. Don’t ask people what they think of your work and don’t care either. Create only to please yourself because at the end of the day, it’s only you, your art and how you feel about it. Focus on the creative. As important as good equipment and technical skills are, they alone do not create great images. Focus on the creative and use your equipment and technical skills to support your Vision. What is your favorite image or series of images in your portfolio and why? You might as well ask which of my children is my favorite child. That’s impossible for me to answer! When you have a vision you want to create, how do you solve the problem of how to do it? For instance, if you want to create a certain look or effect, where do you turn to learn new techniques? Do you learn by experimenting or turn to books or videos? I am self taught and have never taken a photography class or workshop. I like to learn by doing and experimenting and so when I have a vision of what my image should look like and have reached the end of my technical skills, I simply start trying things. I have always figured something out, and while it may not always be an elegant approach, it works. Popular Photography called me the “Photoshop Heretic” because I use Photoshop in an unorthodox way. I used to be embarrassed about that, but now realize that it doesn’t matter how you get there, as long as you do get there. People are surprised to learn that I create most all of my images using only six tools in Photoshop. I have an extremely simple workflow and most of my creative work is done through dodging and burning. You can read more about my workflow here. Each person has their own way of learning, and mine is “hands on.” Others read the manual, some take a class and others prefer to watch a YouTube video. One thing I do caution people about is becoming addicted to new processes and techniques. There are certain fads that sweep through the photographic community such as HDR, and then you’ll see everyone doing it. Then it will be shift-tilt, and then long exposures and then something else. From my experience, Vision does not flow out of fads or techniques but rather it’s the other way around: Vision can drive you to use certain techniques. That’s why I always recommend pursuing the creative first and then learning the skills needed to support that vision. How important is gear in your work? For many years I thought I had to have the best equipment and a wide range of technical skills before I could create good images. I reasoned that unless the tools and technical skills were in place, I could not execute my ideas. But in the end I spent 99% of my time on equipment and processes and neglected the creative. Photography became an expensive hobby as I collected equipment, accessories and learned tons of new processes. The problem was that they became my goal, not a tool to achieve a goal. These questions imply that the key to my image’s success was equipment or settings, and if they just could duplicate these, they could create such an image. Wrong mon ami! A great image begins and ends with your vision. Vision is a tough concept to describe, but I think each of us instinctively knows how we want our image to look, and our job as an artist is to bring that image into compliance with our vision. When we pursue an image with vision, then equipment and process becomes the servant and the creative process is the master. It’s only then that great images can occur. How important is equipment? It’s important but not nearly as important as we’d like to think. If I had to choose between the world’s best camera and no vision, or an old Kodak Brownie accompanied with Vision; I’ll happily take the Brownie. What has been your biggest photography related challenge? Eliminating my desire to please others. I used to think that if I could please someone else; a critic, a gallery owner or professor, then I would feel good about myself and my work. I believed that if my work was chosen for an exhibition or I had my work published, then birds would sing, the sun would shine and life would be wonderful! But what I instead found was the accolades were great for a few minutes, but then it was all over. In the morning it was still me, my images and how I felt about them. Receiving the recognition was nice, but it wasn’t a substitute for feeling good about my work. That’s one of the great benefits of getting older, you start to get over yourself and realize that what you think about your work is much more important than what others think of your work. You work exclusively in black and white for your art work. Are your personal photos also black and white or do you navigate into color for your personal memories? Do you have trouble letting go of your art in your personal photos? All of my family photos are shot on an iPhone 5 and in color! On a family vacation, all I want to do is “point and shoot” without any thinking. What is your definition of success? Have you achieved this? For many years I pursued the “standard” definition of success: fame, fortune, to be represented in a big-name gallery and to have a book published. For too long I coveted those things without ever stopping to ask if this was “my” definitions of success. To do what I want and to create work that I love. And so to a great degree I have achieved success. I create for myself, I love my work (some more than others) and I get to travel to incredible places. Really, what more could I want photographically? I think it’s also important to note that photography is not my life, it is something that I do that makes my life better. What is your view of our fast-paced digital world? Do you think that iPhoneography or similar is a benefit or a detriment to the photographic artist? I think iPhoneography is just another tool and if it’s useful to serve your vision, then it’s a good thing. Let me tell a story that just happened to me. I was in St. Petersburg, Russia photographing some trees at Peterhof. While there I also pulled out my iPhone and took a picture for the family album (I am the designated picture taker in our family). When I got home and began processing the trees, I didn’t find a single image that I liked. Disappointed and about to give up, I remembered that single image I took with my iPhone. Compositionally, the iPhone image worked but I doubted that it could be printed to any reasonable size since it was shot with an iPhone and then severely cropped into a panorama. But I was pleasantly surprised when I printed it at 15 inches wide and it looked great! Should I not take this image as seriously as my others, simply because it was created on an iPhone? My personal philosophy is: all that matters is the image and do I like it? Cameras, lenses and all the rest are simply tools. It’s vision, imagination and breaking the rules that creates great images. Regarding the larger question of digital versus the old ways; I lived with those old ways for many years (I started in the darkroom in 1968) and I have to tell you that while I have some fond memories, I would never go back. I love the digital world and my work has never looked better. Thank you Cole for spending some time with us today and sharing your insights with us! Would you like to see even more of Cole’s wonderful photography? Make sure you visit his website, blog, and facebook to view his images. Don’t forget to also follow him on twitter and pinterest! Brent: Cole, can you give us a little bit of background your photography and your life? Cole: I grew up travelling; my father was in the Air Force and we travelled a lot. When he retired, we landed in Rochester, New York and it was there, as a 14-year old boy, that I discovered photography. I decided that photography was my destiny; I believed in that as a child and I still believe it today. I believed that photography was my destiny; I believed that as a child and I still believe it today. I was out hiking one day with a friend when we stumbled across an old house and my friend told me that it had been owned by George Eastman. Living in Rochester, everyone knows about Kodak and George Eastman, and so I read his biography. Before I had completed that book I had decided that I was destined to be a photographer. It sounds kind of silly saying, but before I’d even taken a photo or seen a print come up in the dark room, I just knew that’s what I was supposed to be. From there I taught myself photography and it became my life. At age 17 I decided I would not pursue photography in college because I feared that if I earned my living as a photographer, I would lose my passion for it. So instead I pursued business and built a career and family. Because of those responsibilities I didn’t have much time for my photography until 30 years later when picked it back up after 30 years. Brent: Tell us why you moved to Colorado and how has that affected your photography? Cole: We moved to Colorado from Los Angeles. Los Angeles is a crazy place, a crowded place, an expensive place and it wasn’t the best place to raise a family (I’ve got 5 children) and so we moved here in 1993. I know that a lot of people might imagine that with all of the beautiful scenery in Colorado that it might have affected me, but it has not. While my roots are in landscape, and I still do some, I really don’t consider myself a landscape photographer. Brent: Thanks, Cole. Now, let’s have a look at your favorite images. You’ve sent me three of your favorite images that you’ve taken in the past. Let’s run through them quickly. Can you tell us about the photos and the thought that went into creating these images? 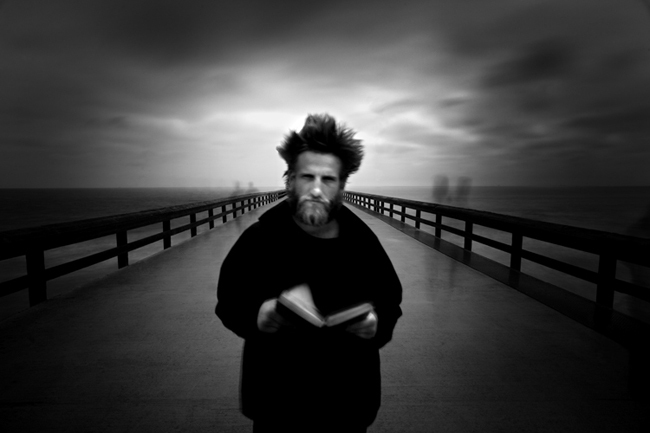 Cole: The first one is “The Angel Gabriel” which I created in 2006 and it’s of a homeless man on the Newport Beach Pier in California. It was a long exposure and so it appears that he’s standing there alone with only a couple of ghosts in the background. 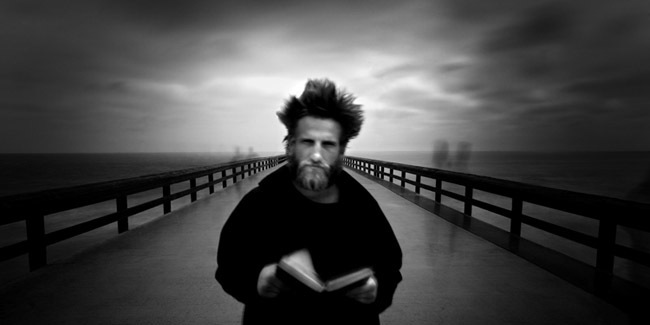 … a homeless man on the Newport Beach Pier in California. There are two things significant to me about this image. First of all was the experience. I was shooting the pier using long exposures, it was crowded and I was using a 30 sec exposure so that almost all people disappeared. While the images were interesting, it was missing something, a subject. So I was looking around trying to find someone who I could use when I saw this man, Gabriel, digging some French fries out of a trash can and eating them. I went over and I said “excuse me? Would you help me with a photograph?” He looked at me distrustfully like we might look at a homeless person, I told him “No really, I just need you to help me with a photograph and if you do, I’d be happy to buy you lunch.” So he agreed and we took a couple of photos which were just “okay.” Then he wanted to take one holding his bible, and this is the resulting image. Afterwards I took him to the restaurant at the end of the pier, it was very nice restaurant and the people were looking at me because I’m bringing in this barefooted, dirty homeless person. We sat down and I said “please, order anything you’d like” and he responded that he hadn’t had a steak in years and that he’d like it with mushroom and onions. When the server brought his steak, Gabriel picked it up with his hands and ate it. All the while the restaurant staff is giving me the “why did you bring him in here” look. During our conversation I learned that he was Romanian and so am I and so we had something to talk about. I learned that his family had escaped Romania when the dictator Ceausescu fell from power and that his father lived nearby. After the meal and as I was thanking him, I said “Gabriel, give me your father’s address and if I sell any of these images, I’d be happy to send you some of the money.” And he said “No, why don’t you give it someone who really needs it? I’ve got all that I need.” And Gabriel walked away with his only two possessions: a bedroll and a bible. The second reason this image is so important to me is that it was the first time that I really exercised my vision and “created an image” rather than “taking a photograph.” I believe that a photographer tends to document reality while an artist creates. This was the first time I felt that I had done that. …the reason that this image is so important to me is that it was the first time that I really exercised my vision and had “created an image” rather than “taken a photograph. Brent: That is awesome. I just love this image. Gabriel is right in the center of the pier and there are a couple of long exposure ghosts in the background. Tell me Cole, what kind of filter did you use to photograph this? What are the technical aspects of this image? Cole: For my long exposure work, I typically use two filters stacked one on top of the other. One is a Singh-Ray Vari-ND; it’s an adjustable ND filter that can go from 2 to 8 stops of neutral density. It works like a polarizer and this is important to because you can open up the filter to let enough light in to compose and focus, and then you can stop it down for your exposure. On top of that filter I’ll stack a 5 stop fixed ND filter which gives me 13 stops of neutral density, which is usually enough to give me a 30-second exposure in bright sunlight. I’ll sometimes stack a 10 stop filter in place of the 5 and that allows me to get several minutes of exposure in bright sunlight. Brent: Do you have a filter holder in front of your lens? Cole: These are circular filters, I use an 82mm and then fit each of my lenses with a step-up ring so that one set of filters works on all of my lenses. I use large 82mm filter because when you stack them they protrude and vignette the image, so the wider filter helps minimizes that. Brent: Just back to the part where you talked about the artist; the difference between the artist and the photographer. When did it start coming into your mindset creating art as opposed to taking photographs? Cole: Early in my photographic life I was not conscious of such a concept and I’d always considered myself a photographer. In fact, I felt that as a photographer I had a duty to not modify the image. I see now that is silly because everything we do as photographers modifies the image; starting with the lens that we choose, our perspective, how we expose it and how we process it. Everything changes the image. So in a sense, there really is no way to document reality and to capture the truth. A photograph can capture many realities and many truths. Around 2004 and shortly after I came back to photography, I met a woman who became my mentor. She was an artist first, who began using photography as opposed to me who was a photographer first, and who later become an artist. She continually tried to get through my thick skull that I shouldn’t limit myself to simply taking photographs, but rather I should create images. Over time that concept slowly started to sink in until I woke up one day realizing that I wanted to create. It was a gradual process and it took me about two years until I felt comfortable thinking of myself as an artist. …I shouldn’t limit myself to simply taking photographs, but rather I should create images. If someone asked the old Cole the photographer if he “manipulated” his images, he would respond “No!” and be insulted at the very thought of it. But if you ask me now, my response is “Yes! I manipulate what I see with my eyes, into what I see through my vision.” That is what makes an artist, an artist; they create. Brent: That’s great. Let’s run through the second image, the one where it looks like someone is in water. 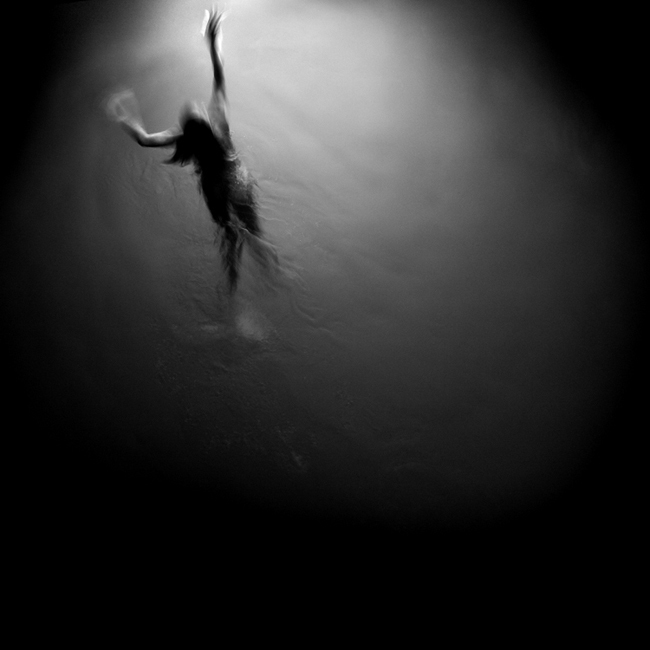 Cole: This is called “Swimming Towards the Light.” Many people think this was photographed underwater, but it’s really my daughter swimming laps in a hotel swimming pool. I’m on the 5th floor looking straight down and this image catches her just as she is about to touch the edge of the pool where the light is. And that’s why it is called Swimming Towards the Light. This was taken with a 1/10 sec slow shutter speed to introduce a little bit of blur and movement in the image. It’s a very simple but conceptual image. I never like to tell people what my images mean to me or what they’re supposed to mean to them, but I do find it interesting to hear what others see in them. I recently gave this image to a friend who is undergoing some pretty serious cancer treatment and it has come to mean something very special to her as she fights her battle. She relates to this image very personally. Brent: Just going back to the artist within you. You’re actually creating art that obviously mean something to you but it may mean entirely something different to someone else. They will see this image, have a look at it and it’ll create some kind of emotion in them that is entirely different from what you actually created it with. Cole: Absolutely. And oftentimes my images don’t have any special meaning to me but others find meaning in them. That’s why I don’t like to tell people what they mean, or even hint through the title what the image is supposed to mean. When you look at my image titles, you’ll notice that most are simple numbered titles. I just don’t think that it’s my role to tell people what to think when they look at my art. People often ask what my images mean. Sometimes they really don’t mean anything, they are just beautiful images. Brent: And does this image of our daughter in the water mean something to you? Cole: No, it’s just an image that I saw it in my mind and created. It doesn’t have a deeper meaning for me, but that’s not to say that it can’t have a deeper meaning for other people. Brent: Great. The last image you sent me, it looks like a concentration camp. Cole: Yes, this image is “Auschwitz No. 14? 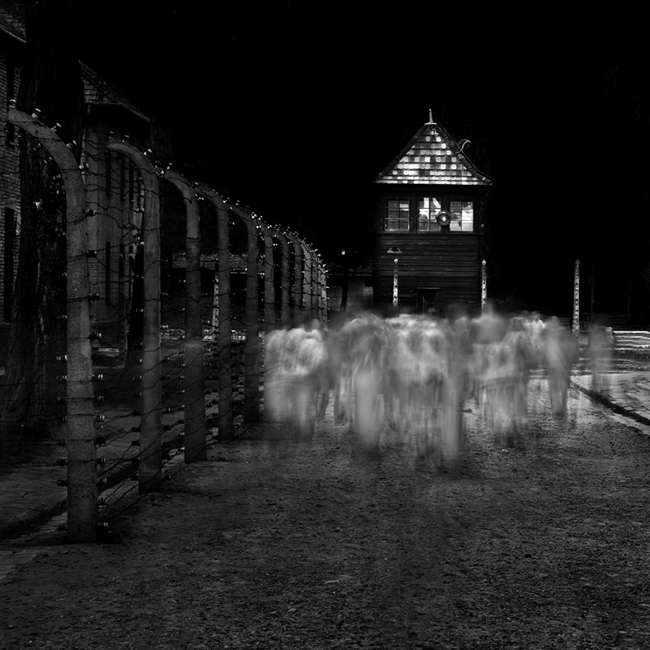 and it’s my favorite image from the series “The Ghosts of Auschwitz-Birkenau.” A few years ago I was visiting my son in Ukraine who was serving in the Peace Corps. Because we were so close we decided to visit Poland and the family engaged in discussion to decide what to do while there. I knew that everyone would probably want to see Auschwitz-Birkenau, but I was secretly hoping that we wouldn’t go because I don’t like sad places. But the family out voted me and so off we went. We began with the tour inside buildings where they show you the meticulous records that the Germans kept on each prisoner. I found myself looking at a photograph of a man, who was looking straight into the camera…into my eyes, and all I can think about is how he was then murdered shortly after this photograph was taken. It was surreal and depressing. As we continued through the tour, we saw the infamous piles of clothing, glasses and shoes. I am not prone to claustrophobia but I just could not breathe and I signalled to my family that I was going outside for air. Once outside, I could breathe easier and I began to walk slowly while looking at my feet. With every step I could not help but wonder who else had walked in these same footsteps and were now dead? I began to wonder, perhaps metaphorically, if their spirit still lingered there today. And then suddenly it hit me: I needed to photograph the spirits of the people who lived and died there. Unfortunately I had less than an hour before the tour bus was going to leave. So I ran from location to location photographing ghosts. People want to know about the ghosts, are they real? Did you create them in Photoshop? Did they appear in the images afterwards? I created these ghosts using my long exposure techniques and they are really the other visitors at the camp. They didn’t know I was photographing them or turning them into ghosts. In fact, that was my major challenge, getting people to walk into my scene so that I could photograph them. People are just too polite and when they saw me with my tripod and my camera, they would stay out of the scene. They could not appreciate that I actually wanted them in the shot! So I used various techniques to trick them, these are techniques that I had developed in Japan under similar circumstances. I would use a remote shutter, turn my back away from the camera and act like I was talking on the phone. People would gradually wander back into the scene and then I’d use the remote shutter release to get the long exposure. …So I used various techniques to trick them that I had developed in Japan under similar circumstances. I was able to create 16 different images, each with a different type of ghost. My two favorites are Auschwitz #14 and Auschwitz #13 which depicts ghosts leaving the gas chamber. Even though I did not want to visit Auschwitz and I had not intended to photograph there, this turned out to be great experience because I felt creatively inspired. Brent: So, is this a series that you’ve exhibited? Cole: Yes, I just finished exhibiting it at the Simon Wiesenthal Center in Los Angeles and in a few weeks I’m going to Croatia to attend the opening of this exhibition in Split. Brent: That was a really moving story, Cole. Now, let’s move to the next question about inspiration and mindset. How do you stay inspired and where do you get those from? Do you have any rituals you do before you go out and photograph? Cole: Well, I don’t really have any magic answers about how to get inspiration. For me inspiration comes externally and so I just have to be prepared to recognize it. I find that I no longer am able to photograph around my own hometown. I’m just too caught up in my day-to-day activities, family, business, work and everything else. So for me, I need to get away. I might take a couple of days and drive somewhere. The key for me is that I need to have my mind freed up of my daily worries and cares. I also find that when I read the Edward Weston Day Books (his diaries) they inspire me and put me in a creative mood. The other thing that inspires me is listening to the Beatles. I’m always amazed that they, upon reaching success, didn’t try to ensure continued success by maintaining the same style. They were willing to take a risk and try something new. Listening to their music inspires me to apply that same philosophy to my work. I don’t want to get stuck doing just one type of work nor be classified into one category such as a landscape photographer. The other thing that inspires me is listening to the Beatles. For me, it’s all about seeing. I know that great images are all around me, if only I can see them! Brent: Yeah, that’s really important. For me too, getting away is one way that I kinda recharge the batteries a little bit and you know get away with the daily activity and then it seems like the creative energy stars coming back out of you when you remove yourself from the everyday activity. Now Cole, can you tell us a little bit about the process of creating images. Do you pre-visualize what you want to photograph? Or do you just go with the flow? Go to a place, see what happens, see where the inspiration comes from and then shoot it? Cole: I do pre-visualize, but only once I’m at the scene and I see what I’m going to photograph. At that moment, I generally know how I want the final image to look and my challenge is to take the image my eyes see, and force that into the vision that my mind sees. Now sometimes when I’m processing I might also stumble upon an idea or a look and my work can take a different direction there. Brent: So, when you’re there you know what the end result going to be like? Cole: Almost always I know what I want my images to look like. Brent: Tell us a little bit about the process you go through. From start to finish; from capturing the image, processing it, printing it, and then displaying it. Cole: I have my own “Rule of Thirds”. (I don’t like Rules of Photography so I make up my own) My Rule of Thirds says a great image is comprised of one-third vision, one-third the shot, and one-third processing. My Rule of Thirds says a great image is comprised of one-third vision, one-third the shot, and one-third processing. The vision is what drives the other two-thirds. It drives the shot because when I know what I want the final image to look like, that directs how I capture the image. Likewise with the processing, which is where I do the majority of the creative work on the image, the vision drives it. Most of my work is done with dodging and burning and for that I do use a Wacom tablet, which gives me great control and allows me to dodge and burn the smallest details. Brent: Okay. So, you start with the raw image, process it, and then do you actually save that as JPEG before you print? Tell us about the printing; the actual display part of the whole of the process. Cole: I convert my raw image into to a TIFF and never use JPEG’s except for my web images. I use an uncompressed TIFF because the image will not degrade each time you save it, which is what happens with a JPEG. I first use the RAW converter to do my basic brightness and contrast adjustments and save it to a TIFF. Then I’ll use levels to set my white and black points. Then I dodge and burn in great detail to highlight things I want emphasized and to burn down things I don’t want the eye to focus on. I also use the clone tool to remove imperfections in the image. Lastly comes my printing secret: adding contrast. I’ve learned that once an image looks on screen, it will look flat when you print it. Everything looks good on the monitor because it uses transmitted light and that makes the blacks look deep and gives you wonderful contrast. However when you print the image it will look disappointing because we see the print with reflected light, which pales in comparison to transmitted light. So, what I do is this: Once the image looks good on the monitor, I need to pump up the contrast beyond what looks good on the monitor. This extra contrast can help the print look almost as good as the image you see on your screen. This extra contrast can help the print look almost as good as the image you see on your screen. Brent: Do you use any special fine art papers? How important is it to display them properly? 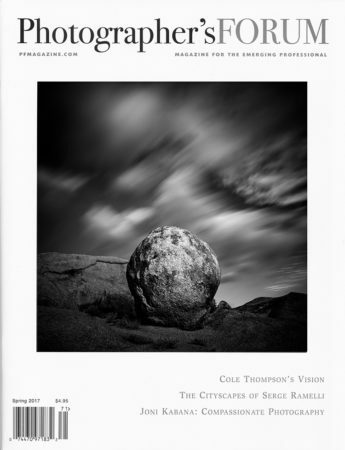 Cole: I typically use only two papers; my matte paper is Hahnemuhle Photo Rag 308 and for my glossy prints I use Epson Exhibition Fiber which has an F type surface, reminiscent of the papers I used in the darkroom. Those are the only two papers I regularly use. I see many people on a lifelong quest searching for the perfect paper and I just don’t think there is such a thing. Find a paper you like and move on. What I find as important as the paper is how an image is matted and framed. I think it’s important to have a lot of white space around the image to present it properly. Also having the image under glass improves the blacks and contrast in an image and so that’s why I like to ship my prints in a clear bag, it not only protects the prints, but it also makes them look good when the customer takes them out of the box! Brent: When you matte your prints, is that a normal white matte around the black and white image? Cole: A simple single white matte with the image centered. I don’t care for a bottom-weighted matte. Brent: Is there a certain size that you print your images at? Or you just print them according to what the customer wants? By standardizing my sizes, I can streamline my production process and make my life so much simpler, which becomes important at a certain point in your photographic business. At first you find yourself photographing 90% of the time and doing business 10% of the time. After a while you wake up to realize that the tables have turned and you’re now spending 90% of your time on business and only photographing 10% of the time! By standardizing my sizes, I am able to keep things simple, minimize my costs and maximize my time behind the camera. What’s One Thing You Wish You Knew When You Were Starting Out? Brent: That’s great. Cole, tell me what’s one thing you wish you knew when you were starting out? And what is that one thing that you’ve done that has made all the difference in your photography? Cole: I am self-taught: I’ve never taken any photography classes or workshops. One of the great benefits of being self-taught was that I never learned the rules of photography. It was only a few years ago when someone criticized one of my images for not following the rule of thirds that I learned what that was. I felt a bit silly not knowing that, but once I heard this “rule” I thought that it was pretty silly that anyone should be constrained by such rules. I was so glad that I had never learned the rules of photography and I’d advise someone starting off to not learn them. But if you’ve already learned them, consider them vague guidelines that should almost always be ignored. If you want to create exciting work, do what makes sense and never because it’s a rule! The other thing I would tell somebody starting off is to define success for yourself before you begin your journey. For many years I followed the assumed definition of success which is: sell prints at high prices, get representation by a big name gallery and publish a book. For years I chased that definition but didn’t find it fulfilling. Sure, accolades are great in that moment, but at the end of the day you go home and you realize that it’s only you, your art and what you think of it. So, I started asking myself “what was my definition of success?” Coming up with my own definition was one of the most important things I have done and now I chase my definition of success. Brent: So, for you, success is doing something you love? Cole: Exactly right. For me success is being able to create work that I love and to answer to no man, no critic, no buyer and no gallery owner. In addition people pay me enough – to purchase my equipment and to travel the world. For me success is being able to create work that I love and to answer to no man, no critic, no buyer and no gallery owner. Brent: That’s awesome. I love your definition of success. What is the best advice that you can give to my audience? People who have DSLR camera, they’re getting into photography; they may even have been in photography for a little while and just getting really enthused about what they can create. What’s the best advice you can give them? Cole: Don’t listen to other people. We brand people experts but the truth is that there is no one more expert about your vision than you. So, don’t listen to others. I’ll hear people giving advice to others: “Here’s what you should do with your image…” I don’t listen to others advice and I never ask for advice about my images. I know what I want and I pursue it. I don’t listen to others advice and I never ask for advice about my images. So do your own thing and have fun with it! Brent: That’s a very good advice. That’s awesome. The last question will be all about education and learning. Where should someone starting out go to get some information and how they can learn the fastest way? Cole: Well, everybody learns differently so no one way of learning would fit all people, but I enjoy learning by trying things, experimenting and making mistakes. You have to know your learning style, but I would tell people to just go out and try things. Can classes help? Sure, they can help but I think that today’s cameras are so good that you don’t need to focus on the technical before you can pursue the creative. Many of us gravitate towards the technical because it’s concrete and easier to learn than the creative. Learning to find your own vision is a lot more conceptual, vague and harder to know how to go about it. Learning how to use a camera is easy, you read the manual. But I’ve never seen a good manual on how to find your vision and yet without vision, the most technically perfect images are cold and lifeless. …and yet without vision, the most technically perfect images are cold and lifeless. Brent: That’s great, Cole. What do you think about knowing your tools so that you can actually create that vision? Shouldn’t you know the technical part of the vision you got in your head so that you could actually go out and create? Cole: If I were doing it over again, I would rather work on the creative and develop the technical as I needed those skills to complete my vision. I really do think that we put too much emphasis on the technical. I hear people say “you really can’t create until you know your tools.” Well, there’s certainly some truth to that but the other side of the coin is the person who spends all of their time learning processes that and they never get around to learning to be creative. Brent: Okay. We’ll end this interview by asking, how can people get hold of you if they want more information? Cole: Well, they can go to my website which is http://www.colethompsonphotography.com/ and they can email me at cole@colethompsonphotography.com. I answer every email. Brent: That was an awesome interview. We’ve gone through quite a few things. We’ve touched on your background, your favorite three images, you’ve given us a whole bunch of really good advice, your definition of success, your process, your vision, how you think of yourself as an artist instead of a photographer, breaking the rules, I really like that one. I just really want to thank you Cole for taking the time and talking to me and getting this great information out in front of my audience or people that are thinking about getting into photography, especially when it comes to the art of photography, which is really close to my heart. Cole: I appreciate you having me on your blog. You know, I had another thought I’d like to add: a lot of people who are just starting off with photography may be like me: I turned to photography because I didn’t believe that I had any creative ability and I felt that I could compensate for this by becoming very good at the technical. And I became very good at the technical, but that wasn’t enough to create great images. Through my struggle and search for my vision, I have come to believe that everyone has this ability to be creative. Sometimes it’s buried under a lot of “stuff” but it is there. Brent: Thanks, Cole. That’s a very inspirational thought. Thank you very much.